Spring is a time for celebrations: Easter, Mother’s Day, showers, and more. And nothing complements a spring party like a delicious brunch. Sure, crispy bacon and your go-to egg dish will be on the menu, but how about wowing hungry family and friends with some out-of-the box ideas? 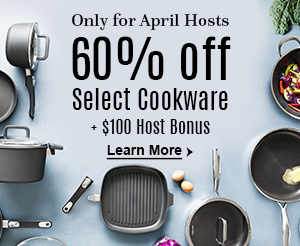 Pampered Chef tools and recipes make it easy for you to enjoy the party too. Who says guests get to have all the fun? Here are some of our favorite stress-free brunch ideas. 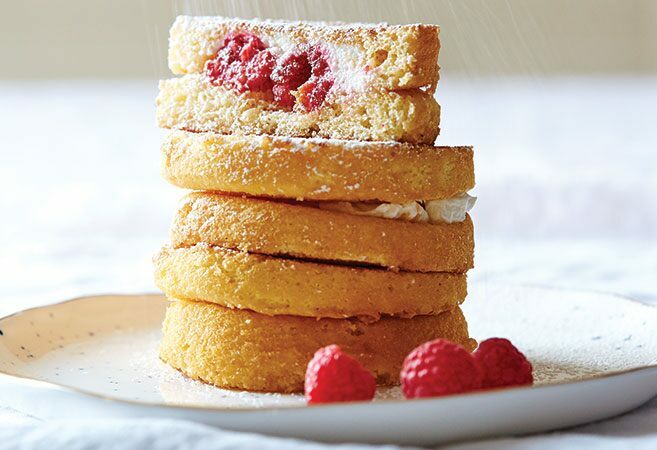 The ricotta keeps this cake nice and moist, while the raspberries and lemon glaze add bright flavors. 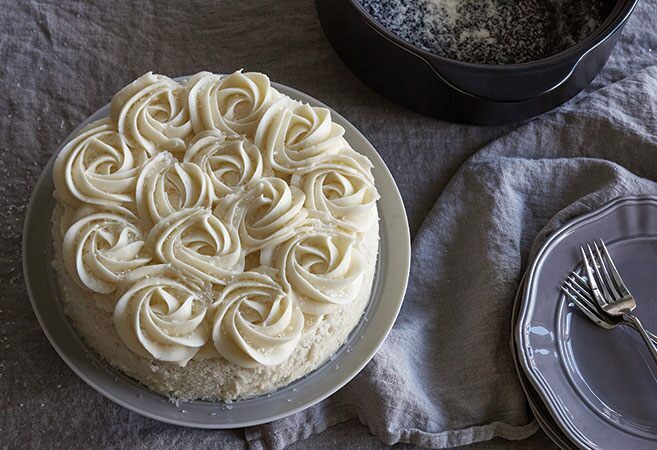 Prepared in a stoneware baker, this cake can be served at the start of your next brunch or at the end of your next dinner party. Bring the flavors of the grill indoors with this ever-popular braid recipe. 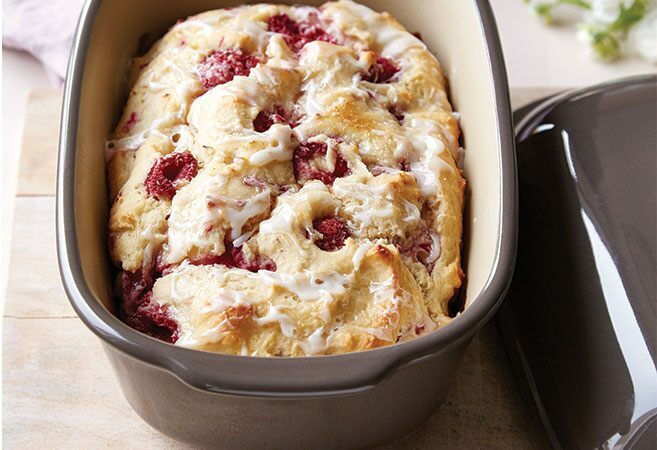 An oven-safe platter showcases this delicious braid that only needs 10 minutes of prep time. The sauce used in this recipe starts with a mother sauce, bechamel, which is equal parts butter and flour (called a roux), mixed with milk which creates a foundation to build flavor. Adding cheese to bechamel creates Mornay sauce. You can use Mornay sauce for other dishes, too, such as macaroni and cheese and Alfredo sauce. Grilling the peppers and quesadillas in a grill pan and press gives you a smoky, charred flavor because it sears a portion of the food. You get deep, flavorful grill marks by using the same technique as searing—just leave the food undisturbed while it’s cooking. These baked donuts get a whimsical touch from mother-daughter team Beth and Lexi at Crowded Kitchen. Powdered sugar glaze, shredded coconut, and naturally colored powders in green and pink give these mini treats a touch of sparkle and class. 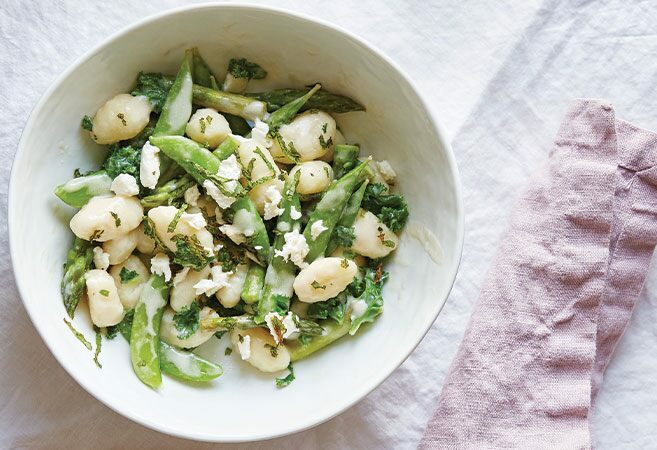 Vegetables sautéed in bacon and butter is the best way to eat veggies in our opinion. 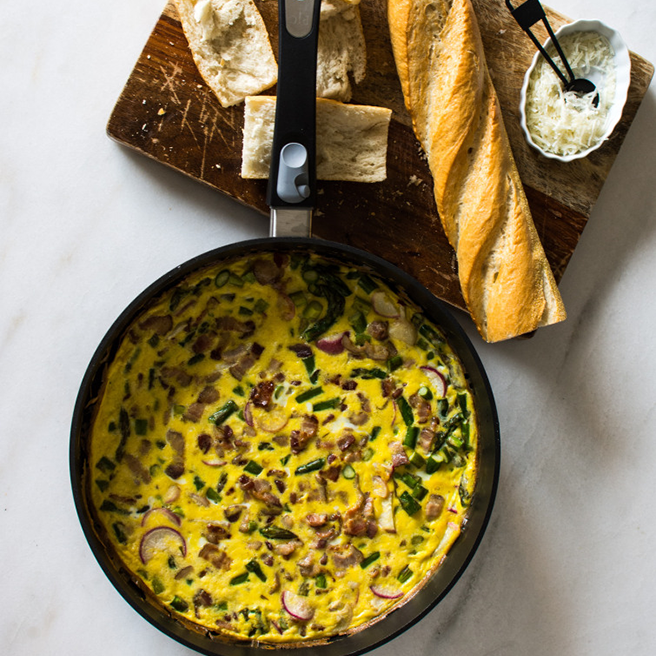 The radishes also add beautiful color and texture to this frittata from A Pleasant Little Kitchen. 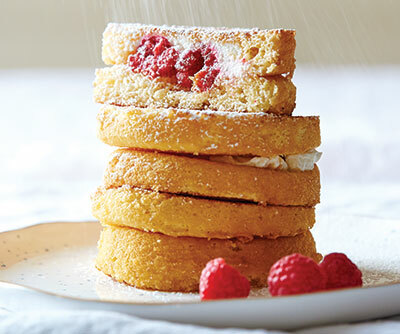 See how food blogger Rebecca brings this recipe all together with stunning step-by-step photos. This delectable dish comes in three variations: strawberries & cream, raspberries & goat cheese, and blueberry cheesecake. Make all three in a double burner grill pan. A breakfast ring on a round stone is a great choice for busy mornings or brunch get-togethers. 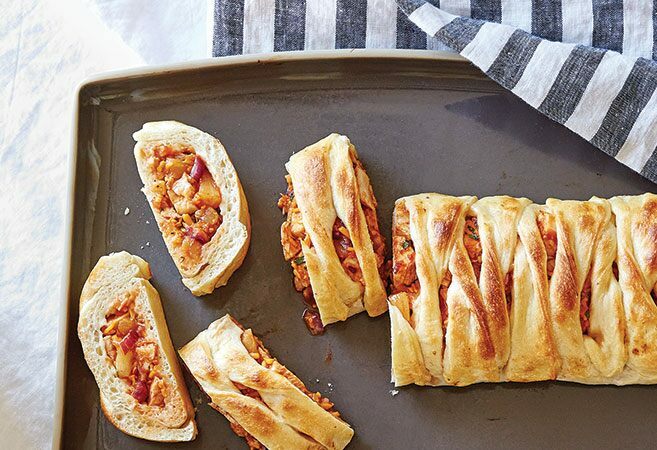 This recipe wraps up fluffy eggs, breakfast sausage, and cheese in a crispy, flaky crescent roll. Everyone will want a second slice! If you have a pressure cooker, consider using it to make oatmeal for your brunch party. You can make a big batch of oatmeal and create a fun toppings bar with fruit, granola, nuts, and honey. 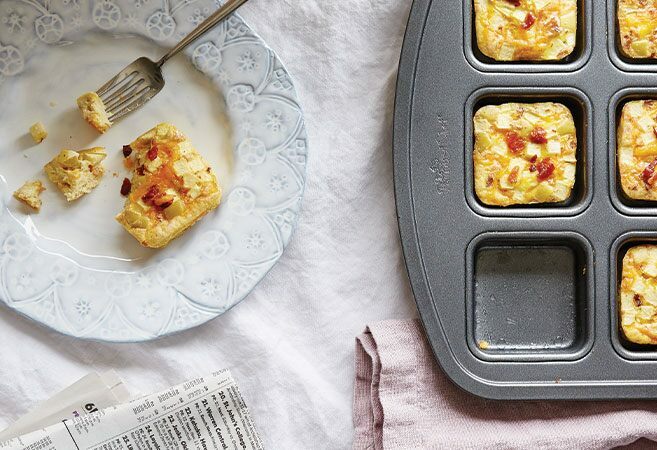 The sweet and savory combination of apple, bacon, and French toast seasoning make these egg muffins taste like a complete breakfast! A brownie or muffin pan is perfect for this recipe. Tip: Make these muffins ahead of time, then freeze, and heat them up for your brunch. Shaskhuka is a popular dish in the Middle East and North Africa that’s made with eggs, tomatoes, and spices. It’s perfect for breakfast and brunch, but it can be served any time of day. Simmering the eggs gives them the perfect runny yolks. Making omelets for a large get-together doesn’t work if you’re stuck being the short-order cook. This stovetop-to-oven omelet in a large griddle serves eight at once, so you can enjoy a warm brunch, too. 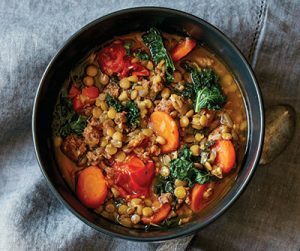 This one-pot meal comes together quickly for a healthy and light choice. An herb stripper easily removes the leaves from the kale. 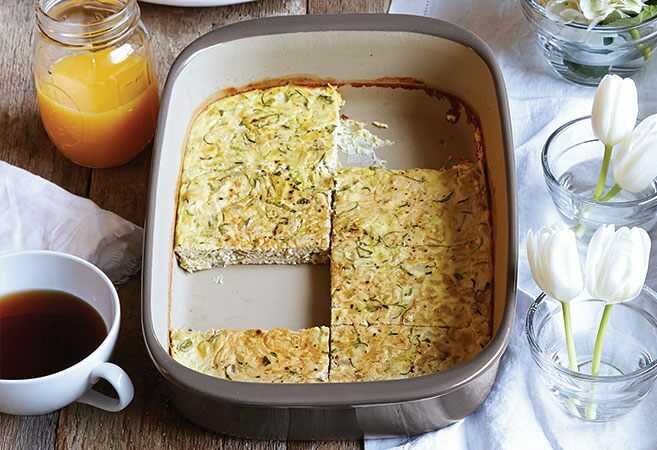 This perfect brunch dish comes together easily, yet always impresses guests when served in a oven-to-table baking dish. 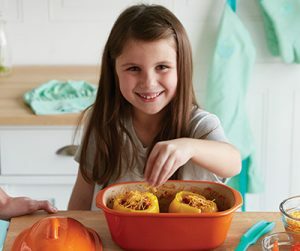 Save the leftovers by topping the pan with a reusable silicone lid. By looking at it, you’d think this was an expensive cake from a bakery. But really, you can make this in minutes in a microwave-safe Dutch Oven. Use a decorating bag to create professional-looking rosettes. This post was originally published on March 16, 2017, and has been updated.